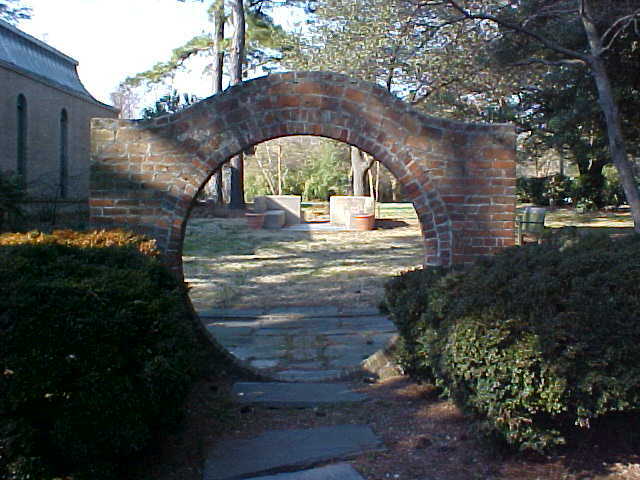 I've never built a moongate (although the freestanding arch at the Thorne house is similar), but I'd like to build one, in either brick or stone, for someone. This one is in an Episcopal meditation garden in Norfolk at the end of Talbot Hall Road. There are two views of the moongate below.